Simply park in one of the dedicated Evo stalls and end your trip. Our team will move cars as needed to ensure there’s always a spot available for our Members. It doesn’t get much easier than that! You can also self-park at these or any neighboring lot during the festival. Find the full JFL NorthWest schedule here. 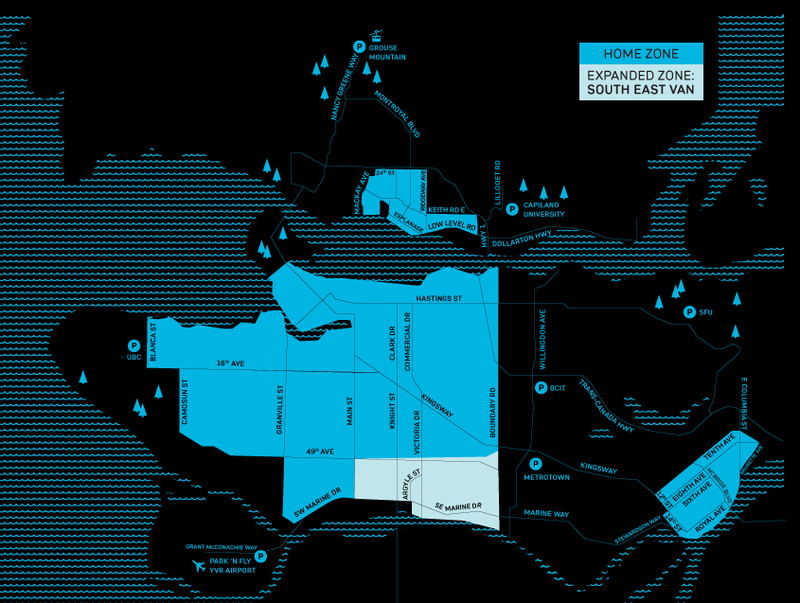 We are super excited to announce that Evo will be expanding its Home Zone boundaries to include more of Southeast Vancouver, including the River District! 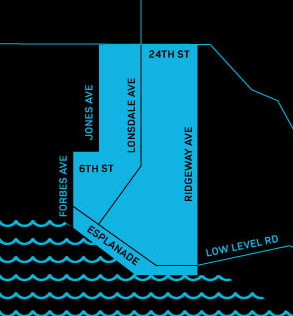 The new Home Zone extends along SE Marine Drive from the current border at Main Street, all the way East to Boundary Road. But that’s not all, we’ll be adding a few more cars to our fleet to ensure Members can get around town easier. 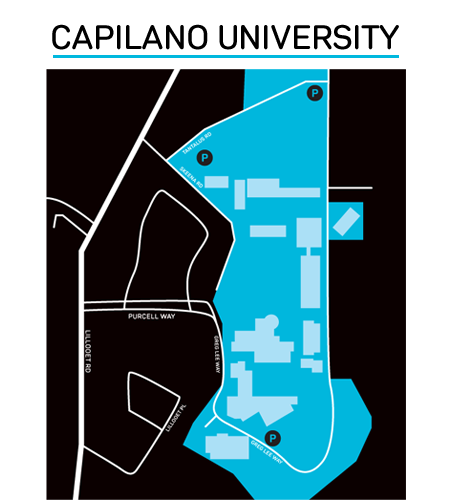 Plus, free and reserved parking will be available throughout the new area. 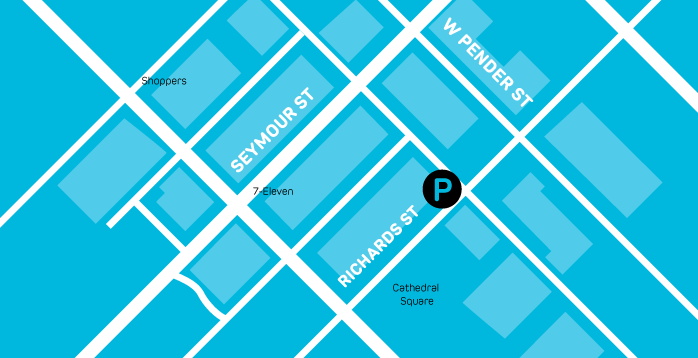 Check your Evo app for cars and parking locations starting November 1st! Download the New App Update! Yep, we’ve got a new app release available for both Android and iOS. And the updates are pretty awesome if we do say so ourselves. Not only have we worked on stability, and made it easier to use, we’ve added new features like radar, which let you select any geographic area you want to find an Evo in, and alerts you when an Evo becomes available. We’ve even made the app compatible with Amazon’s Alexa since she’s now available in Canada. You can check out the Evo skill on all 18 Alexa devices (including Sonos speakers). To make sure your app keeps working, Download the new release for iPhone or Android. Just note, you’ll need to login to the app once it’s updated - if you run into any trouble, try resetting your password or ask us for help. 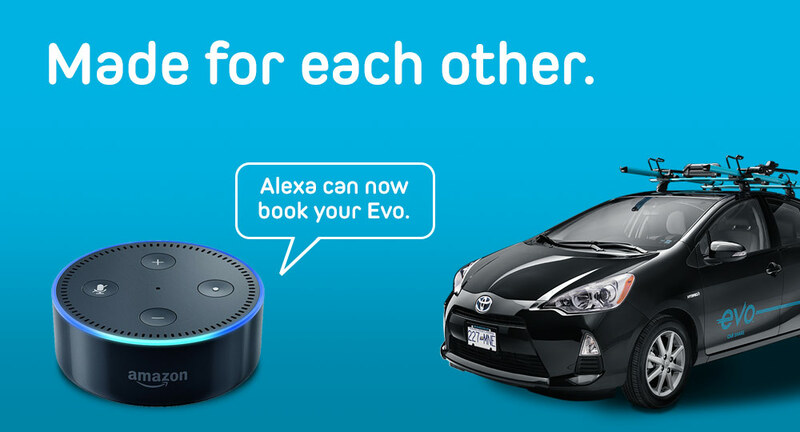 While you still need your Evo app to start and end trips, this free skill allows Members to find and book cars easier and faster from their home (or anywhere else an Amazon Alexa device may be!). 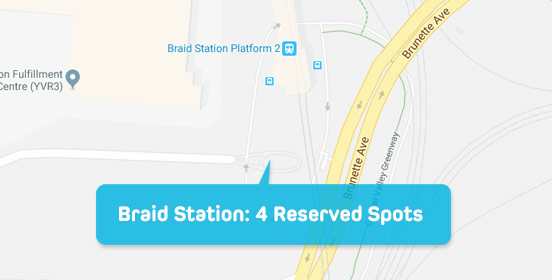 Yep, we have expanded our Home Zone in New West to include Braid Skytrain station, making it easier for our Members get around. 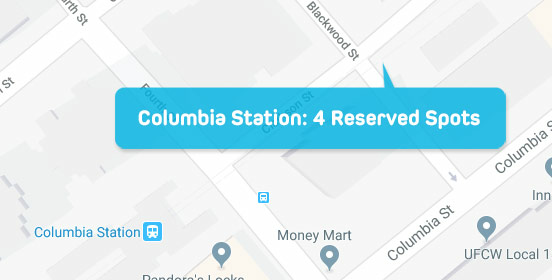 Not only have we expanded our Home Zone, but we have added reserved Evo parking to both Braid and Columbia Skytrain stations so you can park and ride whenever you need to. We always try to make sure Evos are fueled up and ready to hit the road. That's why we have removed the fuel card from our cars - so you can get where you need to go without worrying about filling up. Our cars should always be equipped with enough gas to get you wherever you need to go within our Home Zone. If you're planning on a longer trip and need to refuel, it's easy to fill up. Simply fuel up your Evo, snap a picture of the receipt, and email it along with the license plate and time of your trip to info@evo.ca. We will process the reimbursement, and credit your credit card on file for the amount of the refill. Fill in a check-in sheet at guest services when you arrive. You will need the parking zone number, Evo license plate and the email address associated with your Evo account (these last two can be found in your Evo App). 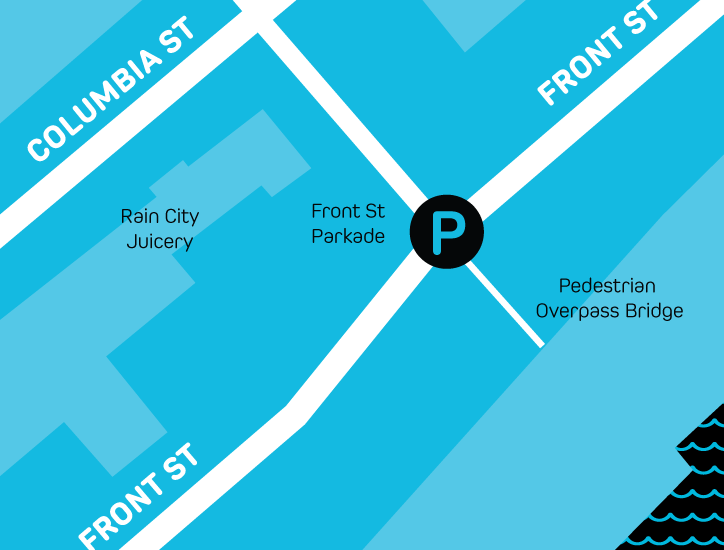 Get a sneak peek at parking in New West! 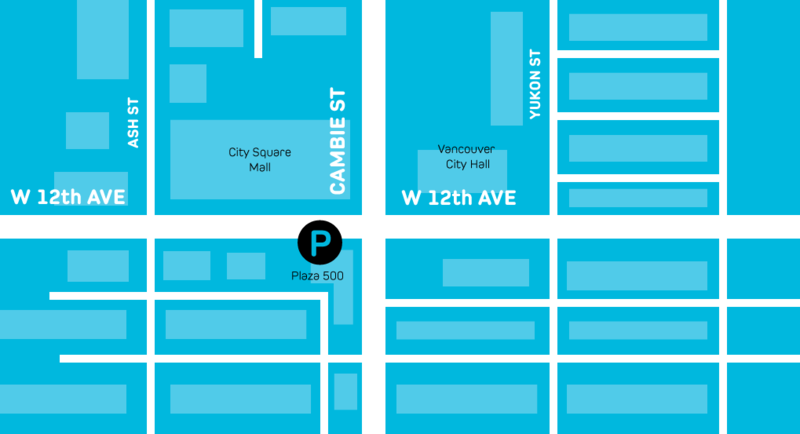 As we get ready to hit the streets of New Westminster for our latest Home Zone expansion, we wanted to give you a sneak peek at some designated parking lots you will find Evo in starting May 19th! 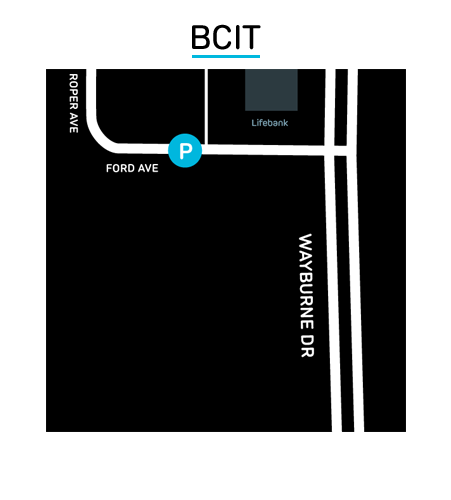 You can also check the App for more information and parking locations on May 19th. 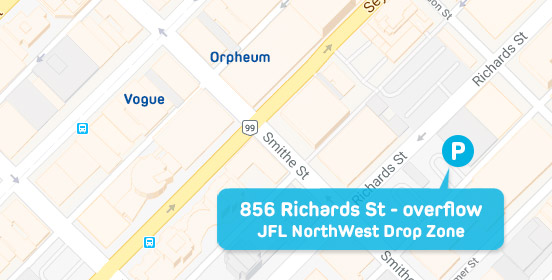 Evo Expands To New Westminster! Yup, we've expanded again and starting on May 19, 2017 Evo Members can pick up and drop off cars in New Westminster. 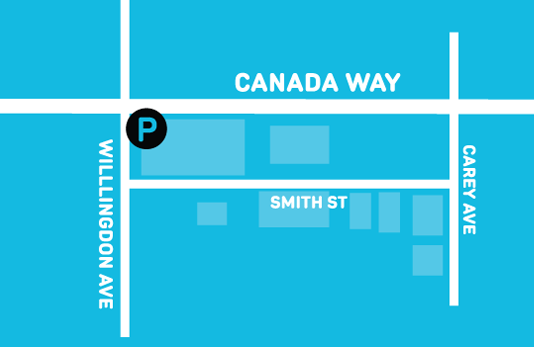 The Evo Home Zone in New West extends from 10th Avenue all the way south to the waterfront, and reaches as far west as 14th Street to as far east as East Columbia and Braid Streets. 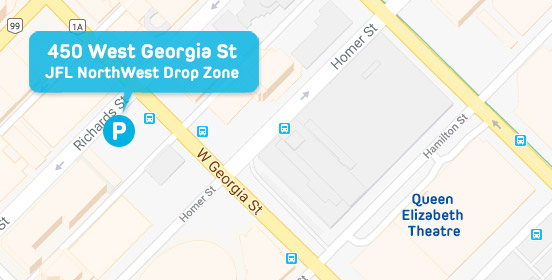 Check out the new Home Zone in the map below! But that's not all. We're adding 250 more Evo's to our fleet to ensure our Members can get around town (and from town to town) easier. 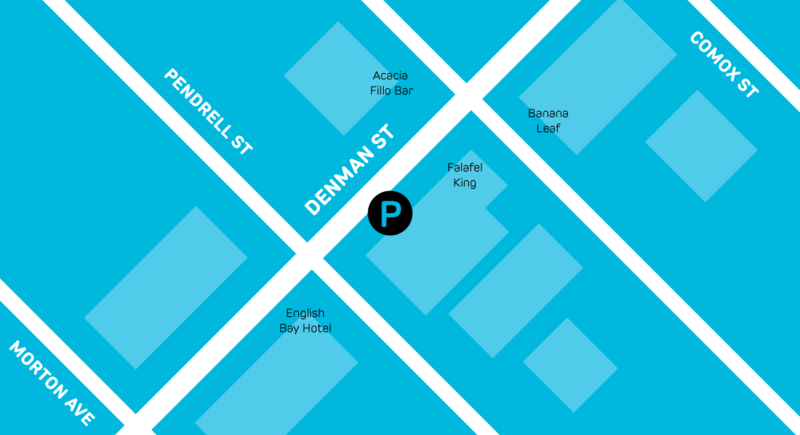 Free and reserved Evo Parking will be available throughout the city. 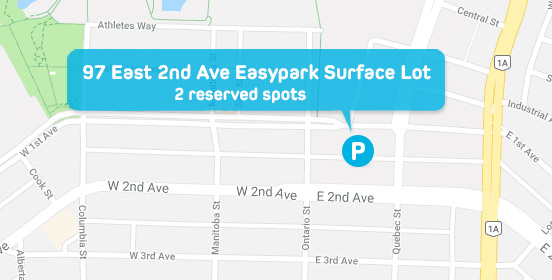 Check your Evo App for Evo car availability and parking locations on May 19th! 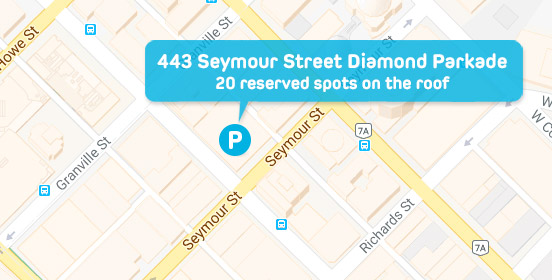 We've added even more parking to some of your favourite lots. Check out additional reserved parking stalls at BCIT Lot Q (sorry, parking can't be used as an excuse to be late for class anymore). 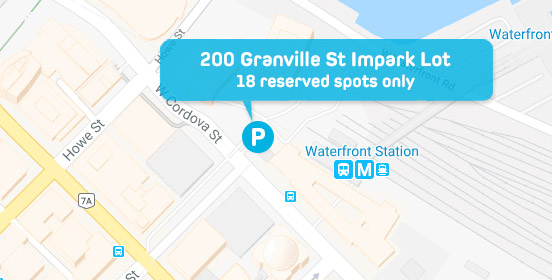 But that's not all, we have doubled our reserved spots at the plaza 500 lot at 500 w. 12th (on the corner of W12th and Cambie). 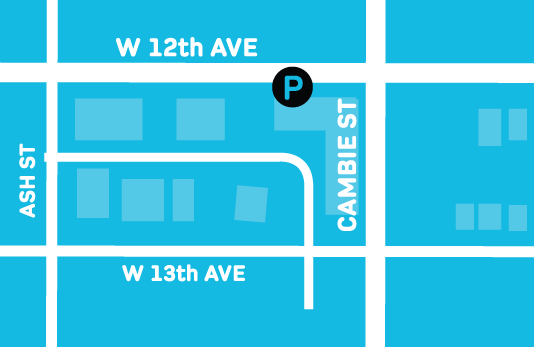 Check out these awesome parking updates which include more overflow parking at these lots. That means more spots available for you! 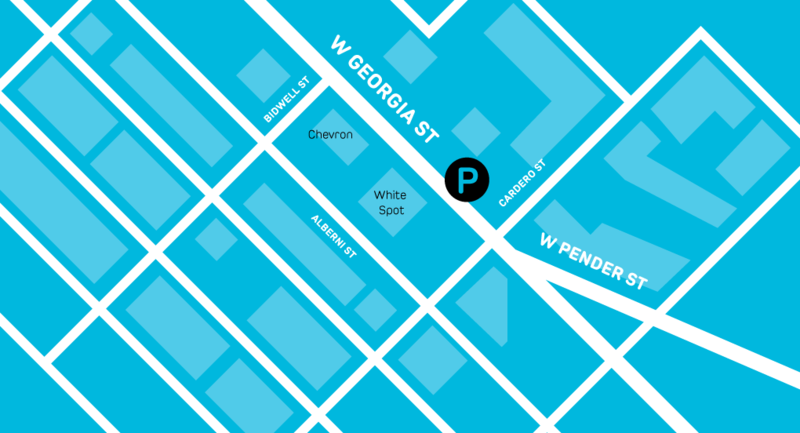 Check out our latest lots on the corner of Pendrell and Denman, on West Georgia, West 12th and Virtual way. 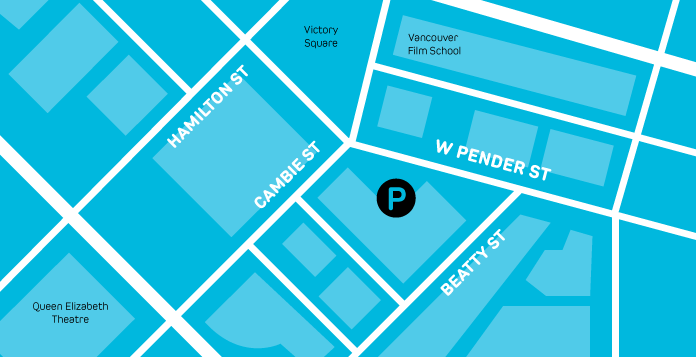 We've added new parking throughout Vancouver, including 7 lots around Wesbrook Village near UBC, at Capilano University, BCIT and on Granville Street. 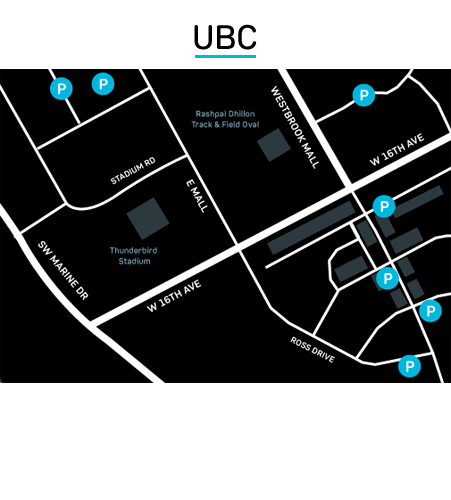 Check out the Evo App for addresses of each lot, plus click on the icon and swipe up for even more information on how to park at each of these lots. You'll find Reserved Evo signs at each lot, helping you know exactly where to park! We're going North...and South! The new North Vancouver Home Zone now spans from Mackay St. to Mountain Highway. In South Vancouver, we've also expanded. 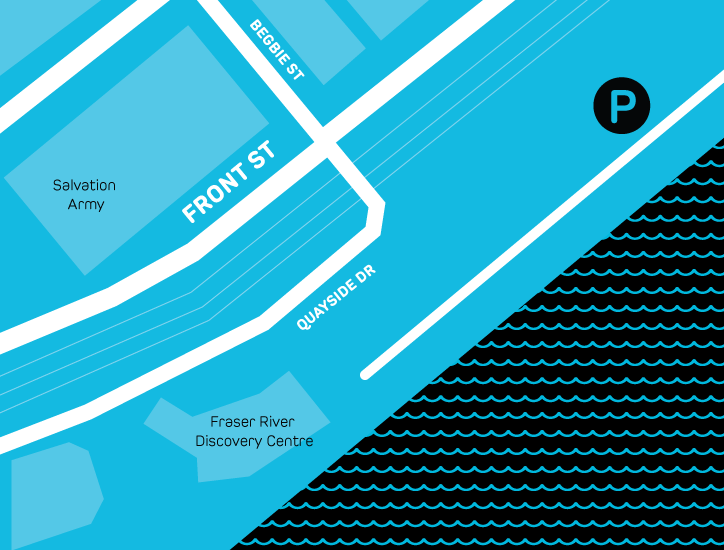 The Home Zone now goes as far South as SW Marine Dr., between Granville and Main Street. Evo is adding another 250 cars to bring the fleet up to 1,000 Evos', making it easier for you to get from here to there with room for your friends. Not a Member yet? JOIN TODAY for FREE and get 30 FREE driving minutes. We've expanded our Home Zone to include North Vancouver, and with our fleet of 750 Evo cars there's no limit to where you could go! 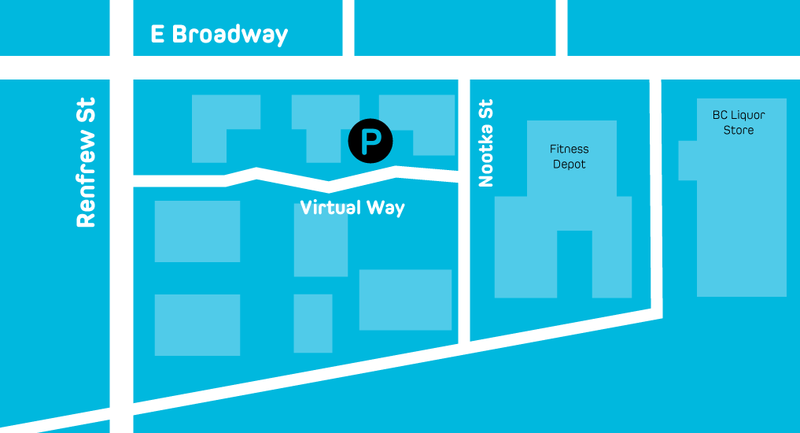 The Evo Home Zone in North Vancouver now extends from 24th St on the North side all the way South to the water, as far West as Forbes Ave and East to Ridgeway Ave. But that's not all - you can start or end your trip at new parking locations at Capilano University, BCIT and SFU Burnaby campuses and Metrotown! Not a Member yet? Join today and get FREE Membership and 30 FREE driving minutes. West Home Zone boundary now extends to and includes Blanca St. Enjoy more of summer in Vancouver with Evo. 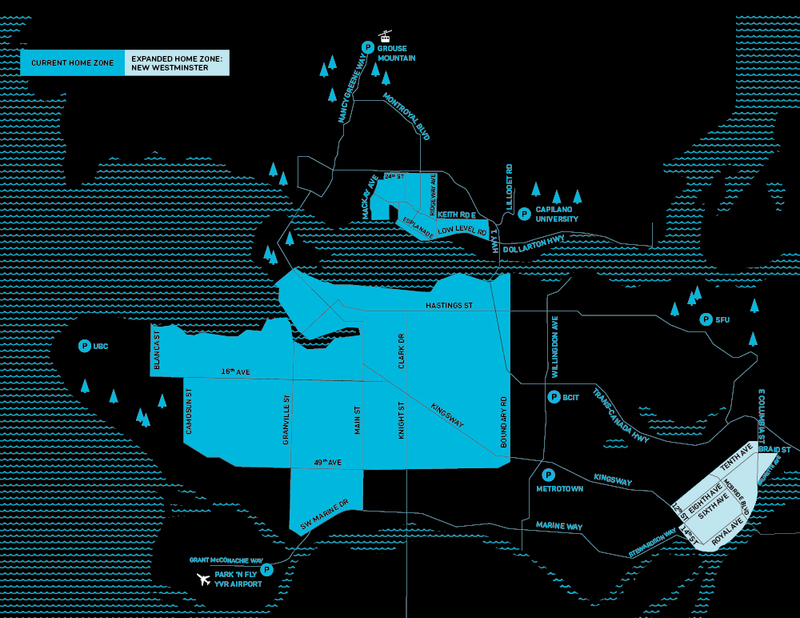 Point Grey, Jericho Beach and other great hot spots are now included the Home Zone! Check out our FAQs for more information about our Home Zone. Make the most of what’s left of summer with Evo. 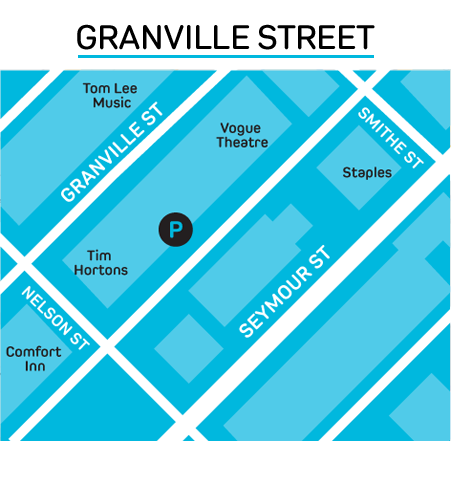 The PNE, UBC and other great hot spots are included in our new expanded Home Zone. 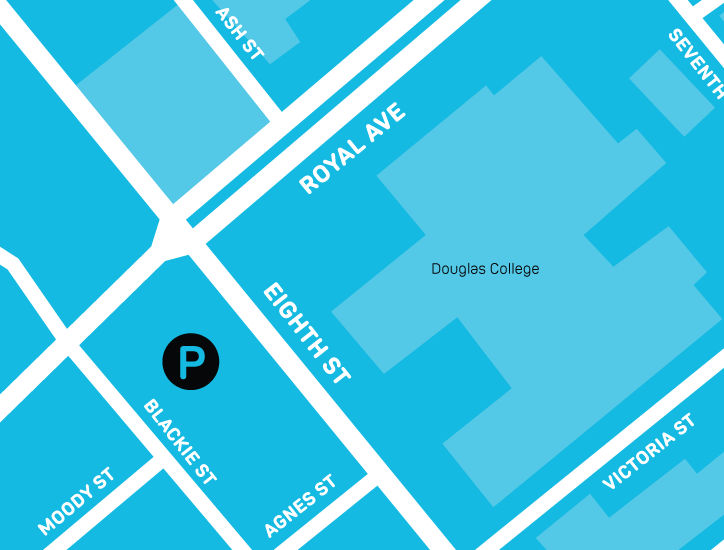 The new boundaries have expanded East to Boundary Road, South to 49th Avenue (near Langara College) and West to include free parking at UBC Vancouver campus. We know our Members love Van-City, and you told us you want to explore more of it with Evo. 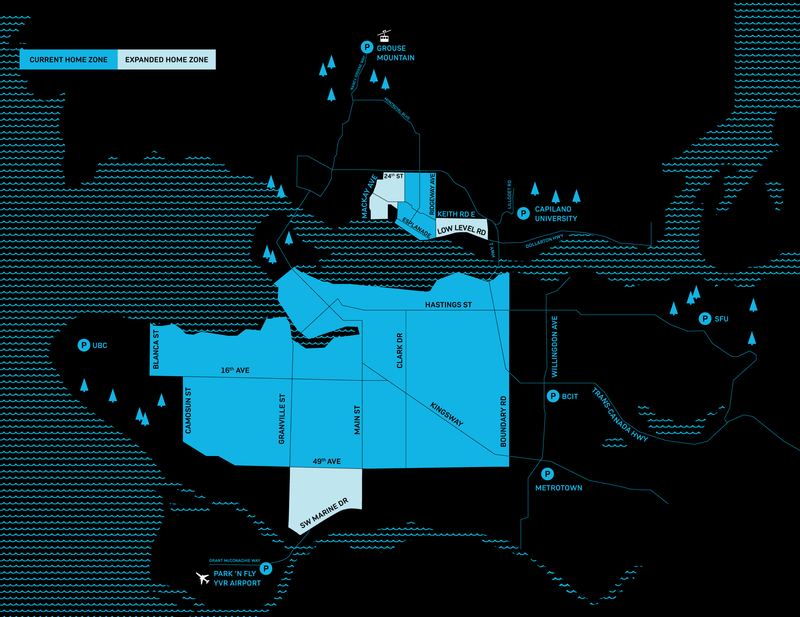 So we’re excited to announce that we’ve expanded our Home Zone in Vancouver west to include the Point Grey, Jericho Beach and Blanca Street areas. But that’s not all. We’ve also added Grouse Mountain as a satellite Home Zone location, which means you can now start and end your trip on the mountain, making it easier to take your bikes, skis or your snowboards to the hill with Evo. Get your grind on with Evo. Now you can start or end a trip whenever you hit the hill. Plus, you can bring your bikes, skis and snowboards along for the ride.